Our firm has extended experience, this is cornerstone of our success. Leaders in the sphere of Passaic legal services. An experienced team of lawyers with up-to-date know how. The Law Office of Richard A. Vrhovc has been a fixture in Clifton, New Jersey and downtown Manhattan for more than 22 years. This longevity is due in part to our providing our clients with the personal attention they deserve. 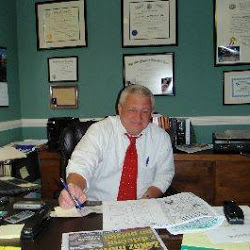 When you retain the Law Office of Richard A. Vrhovc to handle your case, you will receive the personal attention of Attorney Richard A. Vrhovc himself. When you call our office with questions about your case, you will not be shunted off to a paralegal or a secretary. You will get the attention of the attorney himself. Once you are our client, you will be taken care of. Whether your case is in New Jersey, New York, or in the Immigration or Federal court systems, you will not have to "hunt down" our attorney for the answers to your questions. We pride ourselves on getting positive results for our clients. We understand that the outcome of your case is important to you, and that the quality of your life and even your future may depend on a positive outcome. Your case is important to us, and we will represent you zealously in order to obtain positive results. The Law Office of Richard A. Vrhovc is the firm of choice for those who need legal services in either New Jersey, New York, or the Immigration or Federal Courts. On Tuesday March 28, 2017 Attorney Vrhovc obtained a jury verdict in the amount of $3,766,416.99 in a business dispute involving breach of contract and fraud. The 8 member jury in Passaic County, NJ sided with Attorney Vrhovc’s client and found that the defendant had committed fraud and breached a contract, awarding Mr. Vrhovc's client damages for their losses. Attorney Vrhovc's verdict has been recognized as the Number 1 breach of contract jury verdict in the State of New Jersey in 2017. All information provided is provided for information purposes only and does not constitute a legal contract between Law Office of Richard A. Vrhovc and any person or entity unless otherwise specified. Information is subject to change without prior notice. Although every reasonable effort is made to present current and accurate information, LinkNow!™ Media makes no guarantees of any kind.